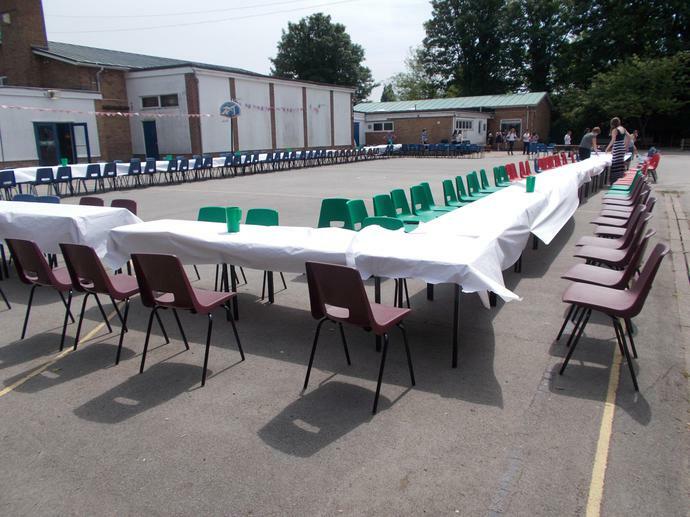 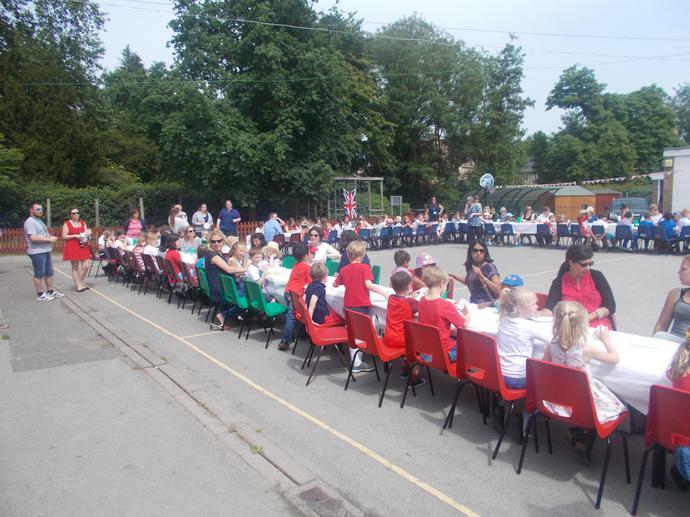 The whole school gathered together for a fantastic Royal Tea Party to celebrate the Queen's 90th birthday. 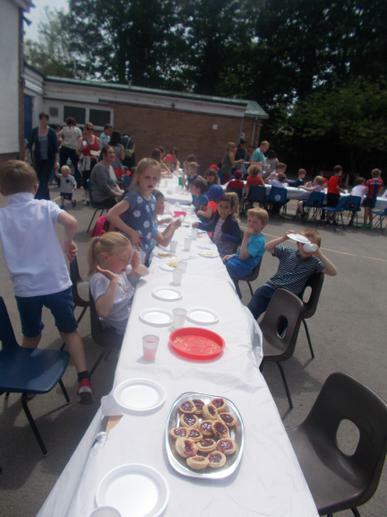 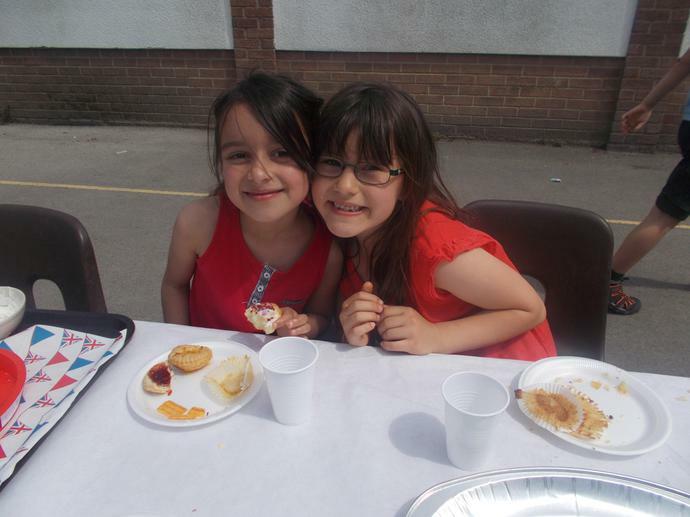 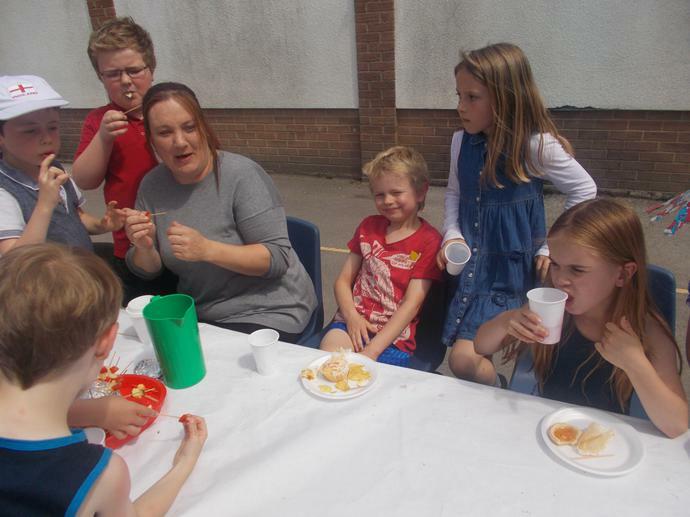 Parents, staff and children enjoyed sandwiches and cakes, prepared in class to share. 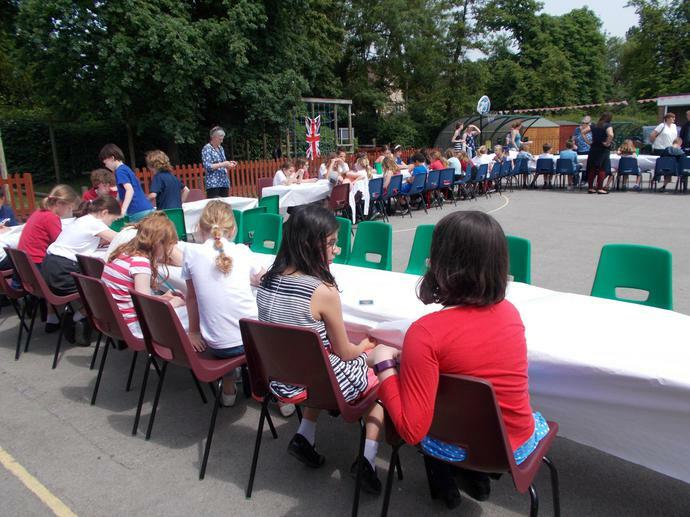 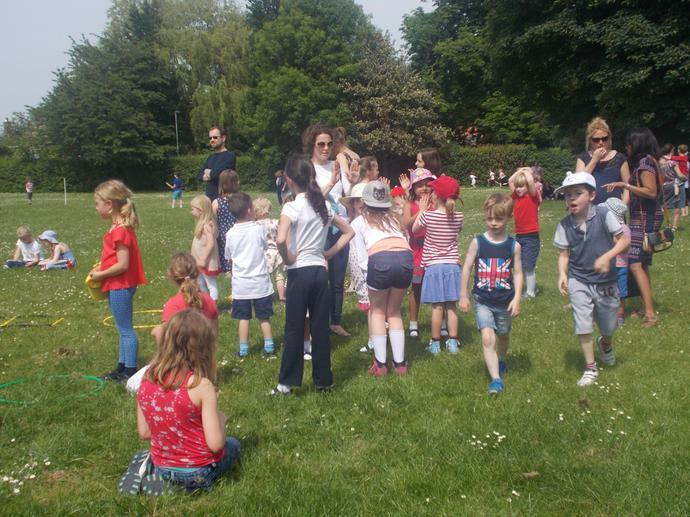 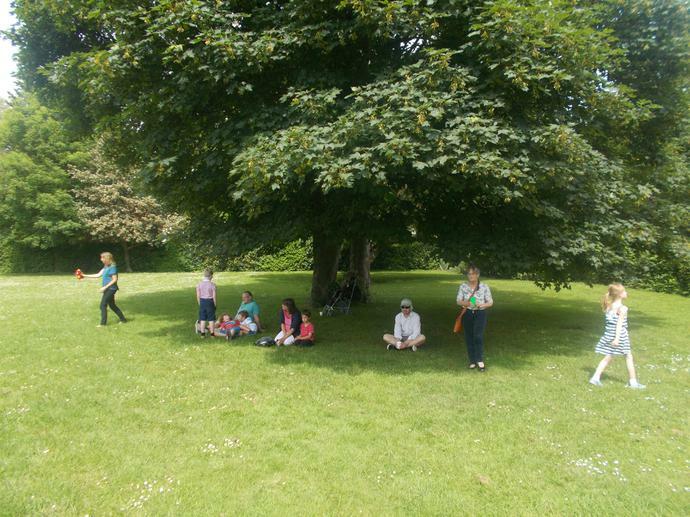 Then the children enjoyed playing traditional games organised by the Year 6 children. 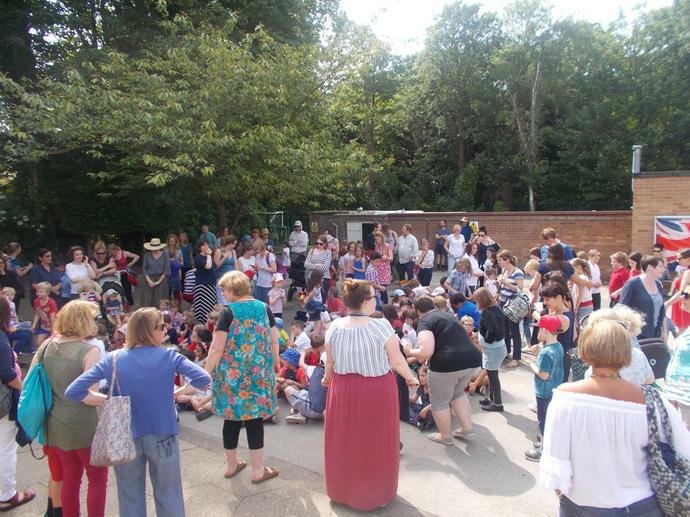 We finished the afternoon with a rousing chorus of "God Save the Queen"
Thank you everybody for coming and to the many helping hands that made the event such a success!